Here is what we have to look forward to! That one was baked by one of your hosts, Steph of A Whisk and a Spoon. Also hosting this week: Jaime of Good Eats and Sweet Treats, and Jessica of Cookbookhabit. Please remember this is a LYL post ONLY. Any comments or chatter can go in our Tuesday Chatter post. Thanks! Looking forward to all the tarts! Yey I’m the first! I had a lot of left over chocolate filling so I made them into chocolate souffle! The link will go live just after midnight, Pacific time. I’ve tried three times already to post this!! Hope it works! I loved the recipe and I can’t wait to see all the results! I made these for Valentine’s Day dessert – they were as elegane as they were easy to make! Loved this, but boy was I exhausted while making it! Here’s mine: http://wp.me/p29cDF-11 (Going life at 6am tomorrow EST) Exciting! It’ll be live tonight at 11:59 EST, if I set the schedule right. Live at 1:00 am CST. Not bad for last minute baking! So chocolate-y delicious and truffle-like! Pretty good. Up after midnight. Yummy and easier than they look! I’m developing a new love of chocolate!! This turned out so well. I am so proud of myself! and i’m excited to see everyones finished tartlets! Good, but very rich. I used the extra tart dough to make cookies and they turned out well! Loved these; just wish I had the time to get better pictures! Yum, yum, yum – that’s all I have to say! Will post it in a while .. what a lovely recipe !!!!!!! Well, if you click on my name that will work. For some reason I can’t post my link. I cut the recipe in 1/2 and was happy with the result. I think the crust could have used more salt. I think it would contrast really well with the filling. I enjoyed making these tartlets! Love all different these have all turned out! http://www.bakingandboys.com/2012/02/twdbaking-with-juliachocolate-truffle.html Made with Oreos and Andes Mints–dang, they were good! Wow a lot more bakers here then in our last TWD group! Mine didn’t come out nearly as beautifully as yours did! These were better than I thought they would be! Hard to go wrong with all chocolate! Greetings from Sugar Land, TX! This is my first TWD post and I am SO incredibly pleased! These tarts are beyond fabulous and rich, I have to hand them out to friends so I don’t eat them all :) Here’s my link! Oohhhhhh, my, so RICH!! My family and I enjoyed nibbling on these last night for dessert…..and we can’t wait for dessert tonight to have a few more bites! We thoroughly enjoyed this recipe! I added some pretzels for that salty/sweet thang! Leaving another link but under my correct account. Sorry to double post. My mom and I agree: we’d make these again! Every lawschool student should have this tart to help with law review. Lovely tart !!!! Excellent recipe !!!! This was fun to make and oh so rich! 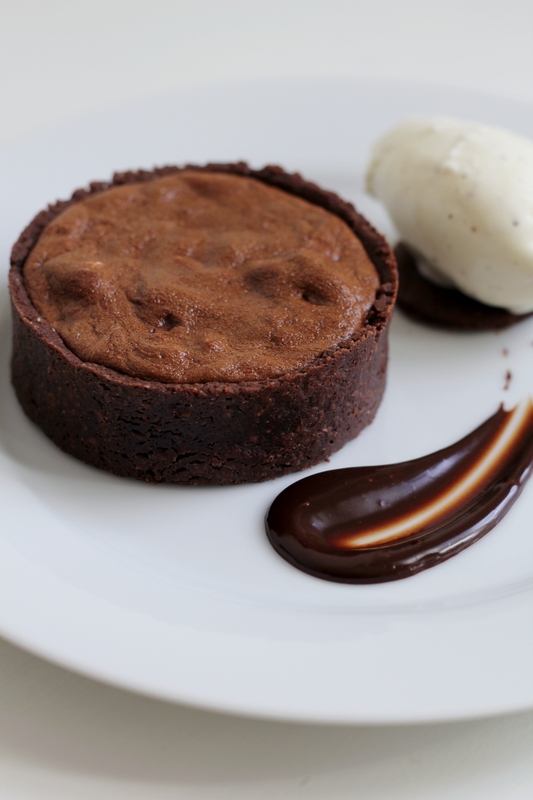 This was one of the best chocolate desserts I have ever made and tasted! So far this cookbook as proven to turn out stellar recipes! I made one larger tart instead of mini tarts and served it with ripe raspberries and fresh whipped cream. So fun to prepare, and not tooooo sweet. Finally got my post up! I’ll try this again. Tarts were good, but…I wished for a measurement on the biscotti crumbs since biscotti comes in many sizes. Looking forward to dessert tonight! I love these tarts. Next time I am going to make a truffle size version! Checking in from Sacramento – and yes, this was totally over the top delicious! I made one large tart that turned out perfectly. Loved the crust best of all – especially the buttery smell while it was baking. MMMmmmm. Great recipe! Looking forward to the next one in 2 weeks.. Looking forward to the next one—mine are not as puffy as some of the others–mine look danker. Everyone has such pretty pics! This was so good! Great texture and really yummy! Julie, you are not the last one. I just posted, too! Neither of you are the last one! It isn’t that late yet. And since there was no school yesterday, I keep thinking today is Monday. Unlike revenge, this is a dish best served warm with a side of ice cream! So yummy! Can’t wait to try the next recipe! Battling a cold and a crazy work day, but I snuck this one in under the wire. So good, I am making them again this weekend for a friend! Was a hit with everyone!!!! Phew! Right under the wire! It’s still the 21st here. I feel somewhat like my college aged son who this week pulled an “all-nighter” to finish a paper. 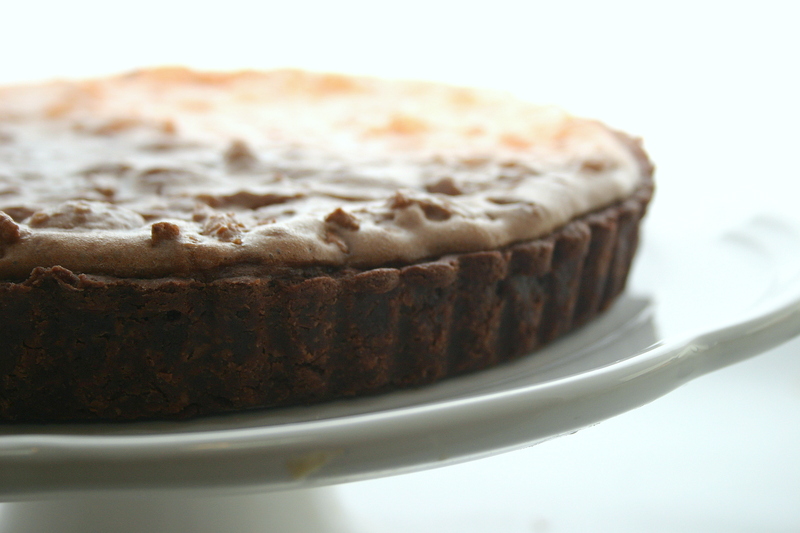 Tart baked, blog written and posted by deadline. Near the end, again. Sigh. 11:43pm AZ time. Finally had a few minutes to get my post done! Delish! For some reason I thought this was going up next week. Brain troubles! Sorry this is a day late. I had the recipe made on time, however with 3 week old twins I didnt have much time to get this together until this morning. Here is the link to my blog – http://cookingadventure.tumblr.com/. A little late… hope it works! Shoot, I forgot to post this! Better late than never though..
Late but still accounted for…. We forgot to post the link on Tuesday. Better late than never! Didn’t love this one. But I made it. And I have more exciting plans for the leftover tart dough. Boy, do I need to learn more about this blogging thing! I made the recipe, posted to my blog, then today realized I needed to leave my link here. Jeesh! My 13 and 15 year old boys devoured the tart in mere seconds. I did get to taste it, but just barely! don’t know if it counts anymore, but finally up!